The 2018 Atlas, with three-row seating and built in VW's plant in Chattanooga, arrives in dealerships this spring. Volkswagen Canada won’t follow its U.S. counterpart and offer better bumper-to-bumper warranties in an effort to put the diesel emissions scandal behind it and entice consumers to move to utility and electric vehicles. In the United States, the automaker said late Tuesday that the 2018 Tiguan and Atlas crossovers will come with a transferrable, six-year/72,000-mile bumper-to-bumper warranty. That compares with three-year/36,000-mile bumper-to-bumper warranties available across much of the rest of the industry, and it is longer than the five-year/60,000-mile powertrain warranties also offered by most competitors. But VW Canada spokesman Thomas Tetzlaff said warranty policy in Canada remains unchanged. “Canada will continue to offer the four-year/80,000-km comprehensive warranty on our full model lineup,” he said in an email. Canadian diesel owners affected by the scandal are still waiting for an Ontario Superior Court hearing to approve the Volkswagen class action settlement was held over on March 31 because the presiding judge said the outlined proposal is “nowhere near” being in the best interests of consumers. Lawyers representing both VW and the vehicle owners now need to demonstrate to Belobaba why it is fair and reasonable for the difference in payouts between purchase price and settlement compensation to be in the range of $10,000 or more. Counsel on both sides committed to file the requested memorandum to Belobaba and the hearing will reconvene at a yet to be determined later date. 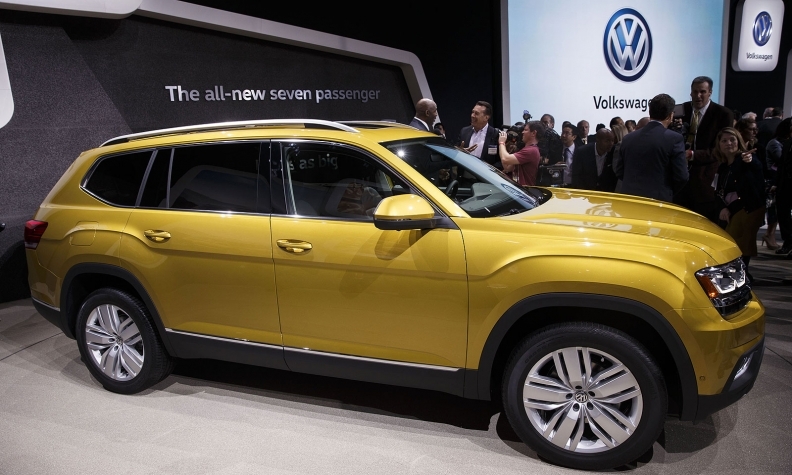 Meanwhile, Volkswagen Canada is working toward bolstering its utility vehicle lineup. In September, the new, 5+2 Tiguan lands at Canadian dealerships. Stephanie Wallcraft contributed to this report.